As far as what I say to young people, my own message is fairly simple: Religion has always been and remains today a tool. It can be used to prop up the pharaoh; it can give voice to the deepest anguish and aspiration of the slaves. It is important to re-invest in the prophetic dimension of all of our religious traditions, so that young people can come to see religion as a way of standing up to tyranny, to occupation, to poverty, to violence, to sexism, to every form of degrading human dignity. And yet we have to keep insisting that the means to get there have to be resonant with our noble ideals. In other words, it is vital that we pursue that opposition to tyranny and violence in means that are themselves not tyrannical or violent. Religion — all religion, not just a particular one — is all about searching for identity and finding meaning, purpose, and belonging. At one time in human cultures, religion supplied the narrative that allowed people to know who they were and how they fit into their community. 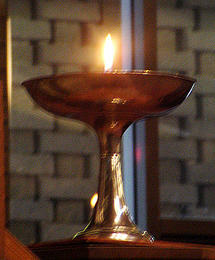 It made life meaningful and purposeful, celebrating and affirming that meaning and purpose with ritual. As I have mentioned before, the word “religion” has as a root meaning “connection.” Religion is a dimension of human experience that connects things for us in a way that makes sense. In our own time, this older sense of religion is, I think, what most people have in mind in some form when they identify as “spiritual.” For us, religion has come most often to denote a particular institutional or communal expression of spirituality. And, increasingly, people in Western culture regard religion with some suspicion if not disdain or outright hostility. That regard is very much rooted in the twisted forms of religion that ISIS represents in an extreme way, but which is also represented much less violently (but perhaps just as extremely) by certain forms of Christianity and Judaism (and other traditions), those that we tend to call fundamentalist. The extremity that seems to characterize so much of what passes for religion in our time has led more and more people to conclude that religion is not a viable path for resolving that human need for meaning, purpose, and belonging. And, yet, those human needs still exist, and are as powerful as ever. Professor Safi suggests that an urgent task for those of us who engage religion in ways that do not embody extremism is to create opportunities and platforms where “a more thorough, deeper, and more rigorous education” about our religious traditions can be accessed. In other words, we need to counteract the twisting of our religious traditions. Part of counteracting this twistedness is not simply better education, but, as Safi names, the reinvestment in the prophetic dimension of religion: the strands within our traditions that name the longing and alienation that these young people who are flocking to twisted religion experience, and that is unafraid to acknowledge the economic and other injustices about which they are legitimately outraged. I am convinced that healthy human beings need to see meaning and purpose in life, and to have a sense of belonging to something greater than the individual self. These are basic human needs that all of us have. I have seen extraordinarily wealthy people who struggle because they lack them, and I have know people of very modest means who do have them. However, I think it is generally true that people who have economic security are able to cover over those needs and not acknowledge them for a long time, even a life time, while those who lack that security are not as able to do that. Religion, at its best, is able to answer these human needs by connecting people to the One who is so variably named in our traditions (and, sometimes, not named at all). And, it is able to do this without fomenting and justifying physical, psychological, or spiritual violence. We need in our world much more religion at its best. Of course, there are those who suggest that the solution is to simply jettison religion entirely, thereby removing it as a tool in the sense that Professor Safi describes. I doubt that such a thing could be accomplished, and certainly I don’t think it is desirable. Religion, properly understood, preserves centuries of human experience and reflection on what makes life worth living, and the spiritual practices associated with religion connect people to that sense of life as worthwhile. But religion also carries with it an essential insight into human nature: that we tend to engage the world selfishly and with strong egos. However the traditions name these, the bottom line is the same: lasting change in the world must begin with lasting change within ourselves, and traditional spiritual practices and communities are designed to support that lasting change. We need religious people who understand both the benefits of religion and its legitimate critique of human nature, and are prepared to bring that not only into their own lives, but into the lives of others who are searching and, if presented with no other option, may choose an extreme manifestation of religion that will only perpetuate the twisting of human souls and the world into which they are unleashed. In The Episcopal Church, whenever we baptize someone, the person about to be baptized (or his/her godparents and parents), along with the whole congregation, is asked this question, and I have long thought of these words as the most radical, and perhaps the most important, in the Book of Common Prayer. They say something powerful about how our church interprets the life of the baptized: as a life that is meant to be shaped by a deep commitment to justice and peace, rooted in a profound respect for the dignity of human beings. It is the last question that forms the Renewal of the Baptismal Covenant, and thus for me leaves the impression that everything said and promised beforehand leads precisely to this: the essential point of the Christian life in its outward motion. What strikes me as radical about this question is that it is not directed toward the Christian community. It is not a promise that is made for or about a select group of people who believe a certain set of things, or belong to a particular group. It is a question that concerns all of humanity. It asks about justice and peace for all people, and of the dignity of every human being. I have been thinking about this question, and the shape it gives to the Christian life, as I have tried to take in all that has been happening in Ferguson, Missouri. Years ago, at the beginning of my ordained ministry, I lived not far from there. I have found myself having trouble reconciling my experience of living in that area with the images of the past couple of weeks. And it has made me realize, more than ever, the paradox inherent in that commitment to justice and peace. The African American community in Ferguson, joined by many others in their community, nation, and around the world, are desperately thirsty for justice. While the details of Michael Brown’s shooting death remain under debate, it seems clear to me that there is no real way to regard what happened to him as just. And what happened to him has touched a nerve deep within the Ferguson community that goes far beyond this particular tragedy. It is being reported that in the last decade, the number of poor people in Ferguson has doubled. With that increased poverty comes increased frustration and anger over lack of opportunity, lack of power, lack of that human dignity that our Baptismal Covenant claims on behalf of all people everywhere. Michael Brown’s death is not only a tragedy in itself, but a fuse that ignited the pain, anger, frustration, and sense of powerlessness of so many in his community. And right now, it is hard for many in Ferguson to seek that justice while preserving the peace. Because peace, as so many of them have known it, has not come with justice or dignity. For them, peace is the maintenance of a status quo that leaves them disadvantaged. And this is the case not only in Ferguson, but in so many places around the country and the world. Peace is too often experienced by those for whom there is little or no justice or dignity as the maintaining of a status quo that leaves them powerless and marginalized, with little opportunity and little hope. In such circumstances, resorting to violence can seem like the only option left to get the world’s attention, to make their cries heard, even when that violence leads only to more violence and horror. In the face of Ferguson’s tragedy, and so many tragedies around the world, stands the Christian (or at least the Episcopalian) with this question: “Will you strive for justice and peace among all people, and respect the dignity of every human being?” How do we strive for justice with peace, for peace with justice? How do we respect the dignity of victimized communities, of police officers, of those on all sides of a conflict? How are we to be Christ in the midst of all this? In a previous generation, both Ghandi and Martin Luther King, Jr. faced precisely these sorts of questions. They were convinced that justice had to be pursued by peaceful means if any authentic justice, any lasting justice were to prevail. They were absolutely committed to the dignity of every person, even those who reviled them. It cost them each a great deal. It also won much for those on whose behalf they waged their peaceful battles. We are living in a time when many of the lessons of our own civil rights movement seem to have been forgotten. The racism that so many (probably white) people had thought was dealt with has been asserting itself within our society with more and more confidence over the past decade. It has become clear that while the civil rights movement freed us from legal forms of discrimination, it did not root out prejudice from the human heart. And what gives this prejudice new confidence is an increasingly unjust economic system, in which the gap between those who have and those who do not grows ever wider. The anger and frustration that has burst forth in Ferguson is not to be found only there. It lies beneath the surface of much of our society, and animates our public life. Like the dry landscape of California and the West, it won’t take much to set this country on fire. If we would like to avoid that fire (and I’m not sure that we can), we should learn the lesson of Ferguson well: that peace must embody justice for all, and it must respect the dignity of every human being. A peace which maintains the status quo is a peace which cannot last, because it is a peace that cannot confer universal dignity. The 21st century needs a new Martin and a new Ghandi. It needs us to be Christ in the midst of the suffering of God’s people. Who, it turns out, are all people. It seemed obvious to say something about Robin Williams this week. And, it also seemed obvious that so many people have already said so much about the death of this beloved actor that nothing more really needed to be said. I have read some beautiful, wise words these past couple of days, and I have read some less beautiful, less wise, somewhat misinformed words. In the end, I opted for another Robin Williams post that isn’t about Robin Williams. Not really. Like so many people, I was personally shocked and saddened when the news of Mr. Williams’ death reached me. Like many of you, I have watched his movies for years, and been entertained and touched by them. He was a talented and likable celebrity, and over the years many of us came to feel a personal connection with him. We felt like we knew him, and so, of course, news of his death hit us hard. That news also showed us how much we didn’t know him. We didn’t know the depths of the depression that so captured his heart and soul. We didn’t really know about the personal demons with which he struggled. We had no idea that they were slowly syphoning off his spirit. Because of his celebrity, and because of the personal connection so many of us felt through his celebrity, the inter webs and media have been full of articles about depression, information for people who are feeling suicidal, and many calls for us, as a society, to take mental illness more seriously and to step away from the stigma that our culture still so frequently attaches to it. Most of this — perhaps all of it — is for the good. Maybe some people will be helped, maybe some people will be saved, maybe some consciousness will be raised. But I wonder how long it will last. Public tragedy — whether in the form of an individual celebrity’s tragedy or in the form of a communal tragedy like an earthquake or 9/11 — has the power to open us up a bit more, to enlarge us. It pulls compassion out of us and toward the person, the family, the community that has been impacted by that public tragedy. I remember in the aftermath of 9/11 how we all felt more connected, more unified than we had before, how we all seemed to treat one another more gently for a while. Before we fell back into disconnection and disunity. The opening up that we experience in the wake of a public tragedy that touches us is always temporary. Inevitably, it seems, most of us somehow absorb what has happened, shrink back into our former boundaries, and resume our “normal” lives. And in doing so, we leave behind those who cannot escape the tragedy that temporarily captured us all, because that tragedy is also their tragedy. 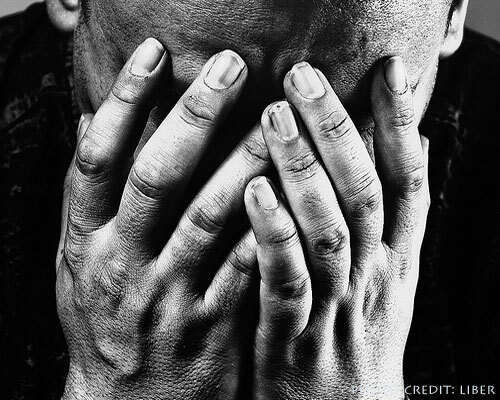 An alarming number of people live and struggle with depression. An alarming number of people take their lives when they cannot continue that struggle any longer. And most of us don’t ever see it, because these tragedies are not public, celebrity is not involved, and unless it happens to our friend or our loved one, we don’t have a personal connection. It seems to me that what Jesus asks of us — what God asks of us — is to make that experience of being opened up, of being enlarged, that we so often feel temporarily after a public tragedy, a permanent part of who we are. I hear the call to “love your neighbor as yourself” as a call to a more radical openness to those around us, as a call to experience a deeper connection to others, as an invitation to live life with a larger spirit. So much of the teaching of Jesus points us in this direction. The invitation to take up our cross and follow the Master can be heard as a call away from self-preoccupation and toward a preoccupation with the welfare of our sisters and brothers. And, Jesus reminds us, everyone is our sister or brother. This is not an easy way of life. I won’t pretend that I myself live in this way. I know that my spirit is not as large as it should be, and I know that I remain all too often preoccupied with myself and my own needs and wants. I know that the reach of my compassion is not far enough. But I also know that I am not called to perfection except in faithfulness: that is, I am called to keep trying to live in that larger space that God invites me into, knowing that God’s forgiveness is already meeting me when I can’t quite get there. I pray for Robin Williams’ family, whose grief must be terrible enough, and they must share it with the world. I pray also for all those who live with the same struggle that he did, and for those who will some day have had enough. Finally, I pray that I might have the grace and wisdom to walk through this world knowing that everyone I meet is struggling somehow, on some level, with something, and that I might be able to meet them compassionately, as my neighbor, as I would like them to meet me. Well, the blog is back from vacation, and I’m trying hard not to rant. Because our culture is too full of rant, and so I think perhaps I owe it to our public conversation to try not to lose it. However, I suspect our culture is losing it — and part of what is being lost is the positive role religion can play in our personal lives — which can make us more positive participants in our communal life. Last week, I encountered two articles that each touched a nerve. One touched a sympathetic nerve: an article in TIME called I Want My Christianity Back — Without the Ugly Baggage. The author expressed a view that I share, one that is very close to my heart, about how difficult it can be to say that one is a Christian, given all the ugly baggage that “Christian” carries for so very many people. And, of course, this baggage comes from other people who claim the Christian faith. But they claim it in such a different way than I do, and than so many of us do. For them, Christian is full of heaven and (a lot more) hell, separating sheep from goats, putting women in their place, condemning gay people, condemning people of other faith traditions, and so on. I have written about this before, and so I am at risk, I suppose, of repeating myself. But for those of us who mean something different when we call ourselves Christians, and for those of us who believe that a relationship with God through the Christian tradition has powerfully shaped and transformed our lives for the better, making us more compassionate, less certain, and possessed of somewhat larger spirits, the ugly baggage Christianity is an increasingly huge problem. Because it gets the attention, for the most part, and it has profoundly shaped what increasing numbers of people in our culture believe Christian to be about. And they find in it nothing worthwhile. That showed up in that other article I encountered, the one about which I could be in danger of ranting. It was an article from Slate magazine, entitled (rather provocatively) Is Religion Good for Children? and subtitled Secular Children Differ in Their Happiness, Mental Health, and Grasp of Reality. The author reluctantly acknowledged that there is some evidence that religion might have a positive effect on child mental health and happiness under the right circumstances. But the thrust of the article was that religious children have a more difficult time separating what the two studies cited regarded as “reality” and “fantasy”. And those studies, it seems, placed religion in the category of fantasy. The author noted that the studies showed that children between the ages of 3 and 6 from “a variety of denominations” (which were not named) were more likely, when presented with a series of biblical stories and non-biblical fairy tale like stories, to believe that the stories were true — in the sense that what the author called “magic” could be real and that the protagonists of these stories were also real. The author of the article was almost gleeful in trying to use these studies to argue that religious children have trouble separating what is real from what is not, and most definitely consigning religion to what is unreal. You can probably tell why this article put me dangerously close to rant mode. But mostly, it makes me terribly sad. Part of that sadness comes from the ignorance of the article’s author — and, I suspect, those who conducted the two studies he cites– about religion. Like most of the so-called new atheists, he holds a very caricatured view of religion, and seems ignorant of the fact that there is a lot of nuance, depth, intelligence, and sophistication in the religious world. But then, he has undoubtedly received his view of religion from those ugly baggage Christians who have so popularized religious caricature that it has now become of the icon of religion in general and Christianity in particular. Another part of that sadness comes from the article’s suggestion that the human imagination is incapable of connecting us to anything “real.” When he speaks of reality, what reality is he talking about, exactly? He seems to regard reality as defined by scientific materialism as that which is to be seen as “real”. However, there is much in human experience that science cannot explain, even as there are so many wonders that science opens up to us. Let me be clear: I am not at all anti-science. However, I am not willing to cede all of reality to that world-view. Religion, at its best, is the arena in which human beings seek to transcend themselves, to make meaning of our lives, and to open ourselves to growth. Religion mines the depths of human experience and finds within that experience indications of what Marcus Borg has called the “More” — indications that there is more to life, and to the universe, than meets the scientific eye. Many people choose to regard religion as superstition designed either to explain that which has not yet been explained or used as a tool to insulate weak people from the vicissitudes of life. This, again, is caricature — though one can find many religious people who fit it. The noble traditions of religion, rather than being reducible to mere superstition, touch something profound in the depths of the human experience, something that speaks to One who is the More, who is Beyond Us and yet Intimately With Us. This is the heart of religion, missed by so many — and obscured by so many religious people who are unwilling to go beneath the surface of their traditions. None other than Neil Armstrong said that — a man whom science propelled into outer space, and once having gotten there and beheld the earth in the universe’s embrace, had a profoundly religious reaction. Small children naturally live in an enchanted world, full of mystery — even, I think, the ones not raised religiously. I would hate for any of us to lose that sense of enchantment, of mystery, and of the wonder it leads to. Religion is not required for this sense of mystery, but religion, at its best, is meant to cultivate it. to name it, and to carry us into it. It is part of being human, and we need it. Otherwise, we shall be cutting off a part of ourselves, and we — and our world — shall be injured for it. To those who think that religion is the well-spring of all that is wrong with our world, I would ask this: go beyond the media slants and the talking points, and embark on a genuine exploration of religion in all its depth and variety. And to those devoted to religion, I would ask this: go beyond the surface of your tradition, let go of the God made in your own image, and plunge into the depths of the fullness of your tradition.